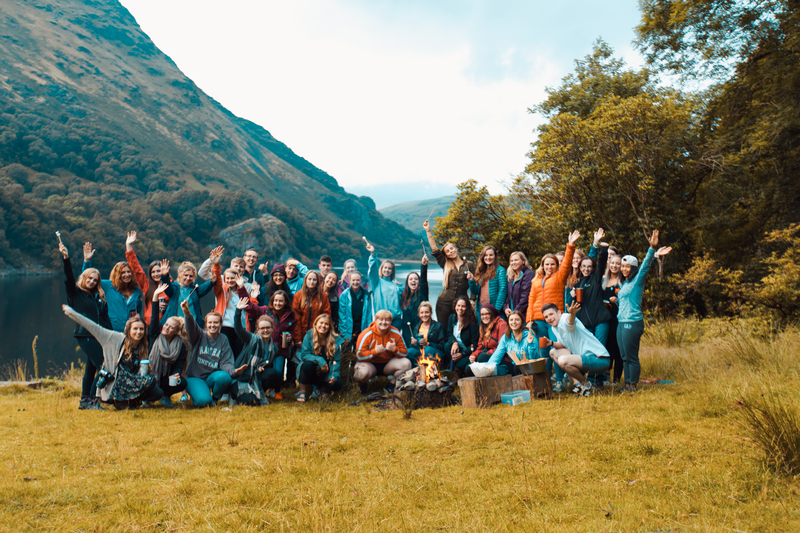 If you read my post about climbing Snowdon, you’ll know that I recently spent a weekend in Snowdonia with Where’s Mollie Global Travellers. I said that I’d be writing a full post on the weekend very soon, so here it is! 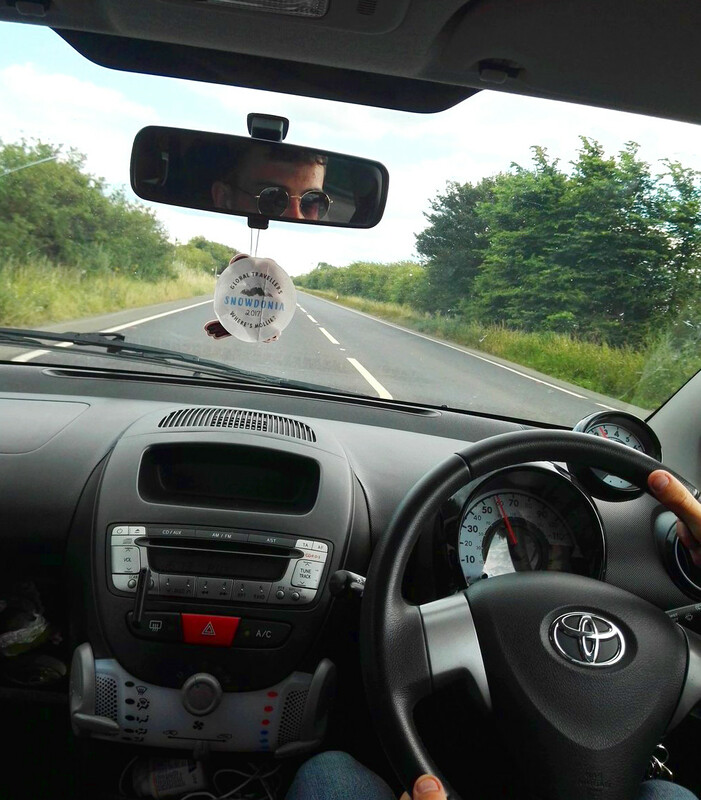 On 7th July, Jack and I made the long old 4.5 hour roadtrip over to Snowdonia for a weekend of hiking, chatting and all round good vibes, or so we hoped! 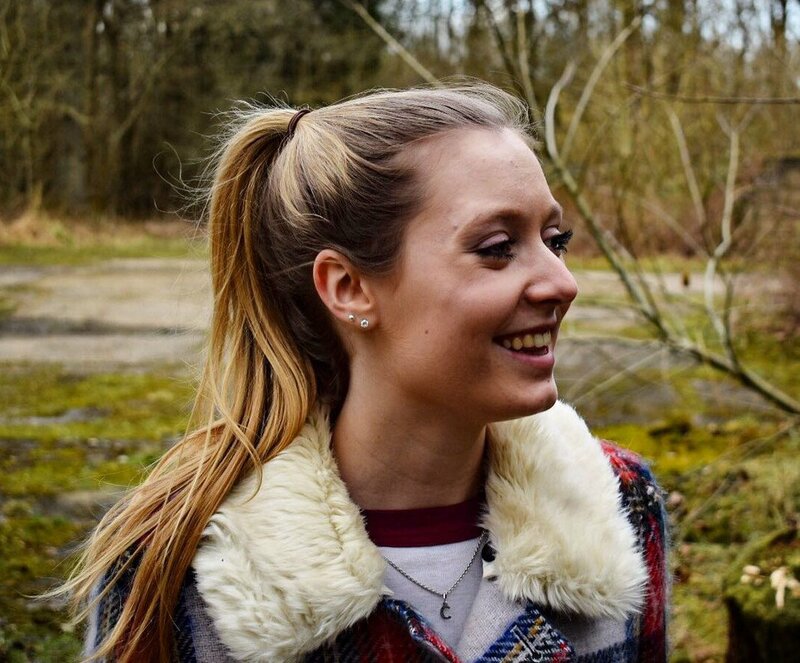 As this was the first Where’s Mollie Adventure, hosted by the absolute babe Mollie Bylett of “Where’s Mollie?“, we weren’t quite sure what to expect as we had nothing to compare it to. Neither Jack or I had been on a “group” trip before (like those run by Contiki, Topdeck etc), unless you count school residentials. As such, we were both slightly nervous as we dislike nothing more than being “shepherded” about. However, I can safely tell you that the weekend didn’t resemble a school trip in any shape or form. 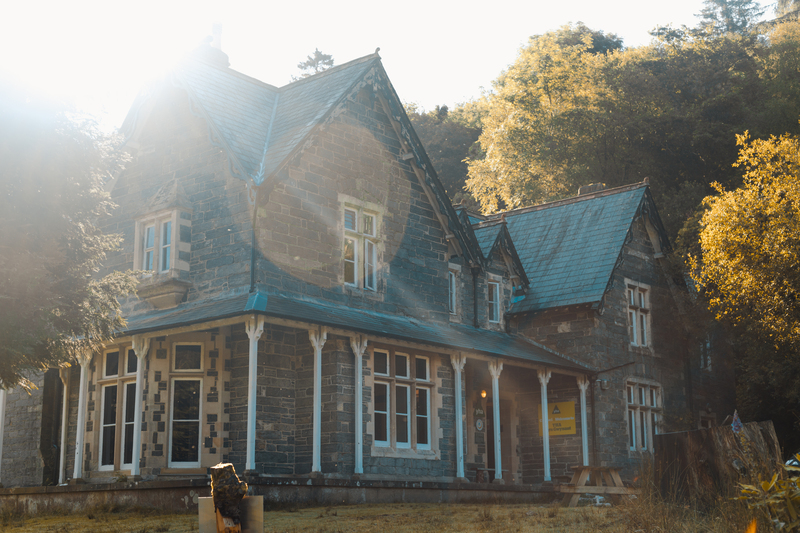 We arrived at the stunningly beautiful YHA Snowdon Bryn Gwynant and were immediately met by a very excited Mollie. The first few members of the group were already in the lounge, so that’s where we headed next. Let me tell you, everyone was so so friendly. Only one group had arrived before us, but as people trickled in everyone got going with the typical hostel chat. You know, the “Where are you from? Where have you travelled to?” malarkey and wow had some people travelled! Antarctica?! Oh yes. I’ve never felt less travelled in my entire life, not that I’ve been to that many places (yet). Once we’d sorted out our rooms we tucked into a delicious dinner before starting a game of “2 Truths 1 Lie”. This was definitely a fab way to break the ice and gave us all lots to talk about and laughs aplenty. Then it was campfire time. 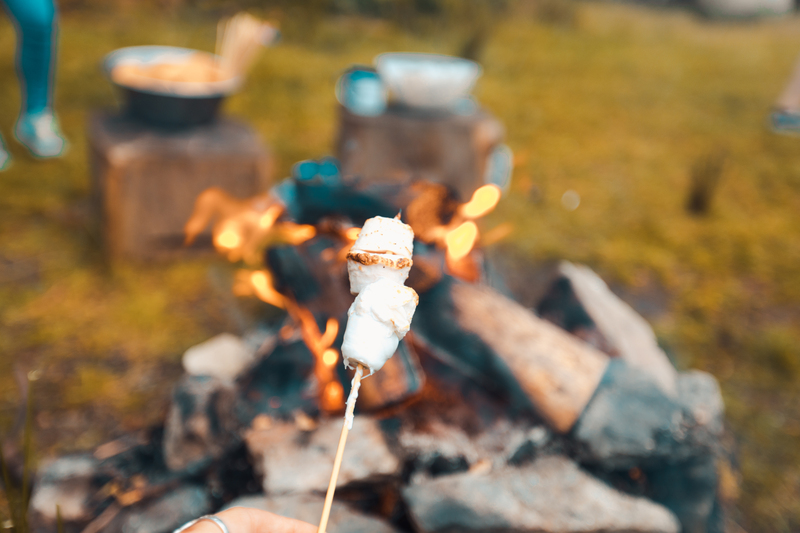 Mollie had come stocked with plenty of marshmallows so we headed outside and munched away (while the midges munched on us!). Some people drank beer, some drank hot chocolate, but it was clear that even though we’d met as total strangers only a few hours before, firm friendships were being made. As a last little adventure for the day before bed we proceeded down to the lakeside to take in the stunning view. At least, it was stunning until a few members of the group decided to plunge straight into the water. I joke, I joke, it just made the evening even better. 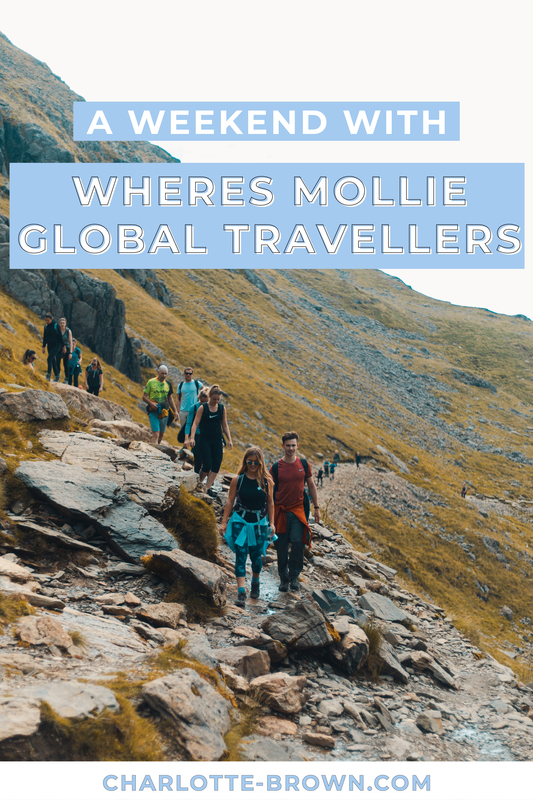 On creation of the Where’s Mollie Global Travellers Facebook group (which you can find here), Mollie stated that she wanted to “bring to life the connection we have made online, take it off of the screen and turn it into something tangible” and that is exactly what I witnessed. In that 45 minutes or so we spent at the lake I watched people going back to basics by splashing about and encouraging one another to pluck up the courage to wade into the icy water. 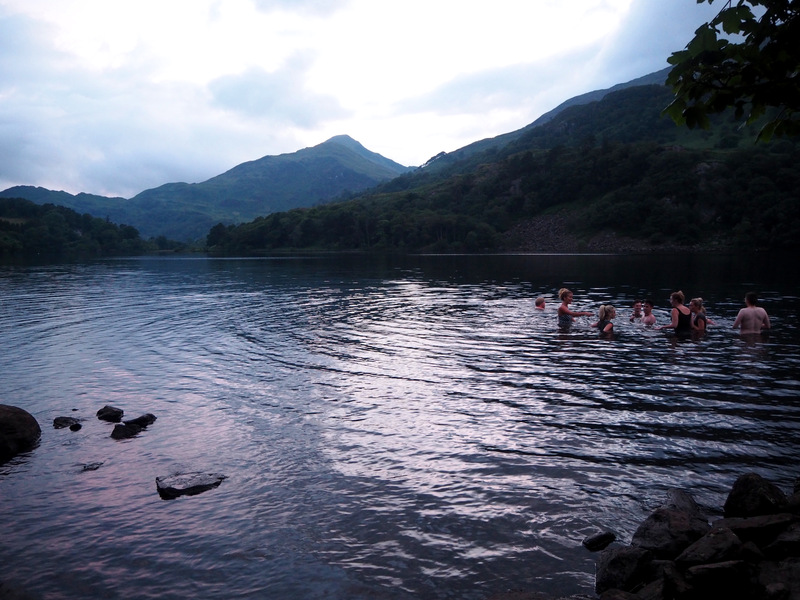 What better way to make friends than to jump into a lake together ey? Or climb a mountain for that matter! Bright and early the next day we set off to conquer Snowdon, the highest mountain in Wales. 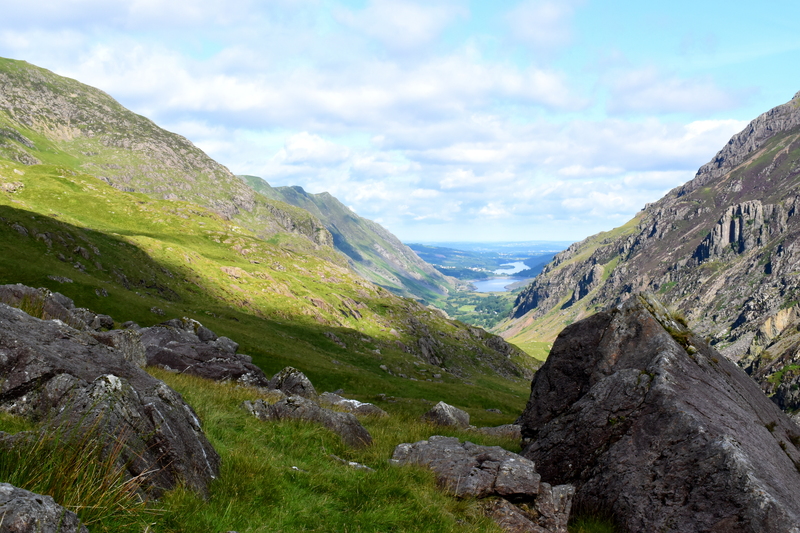 I’m not going to talk about the hike in detail as I’ve written a post all about it already, which you can check out here. 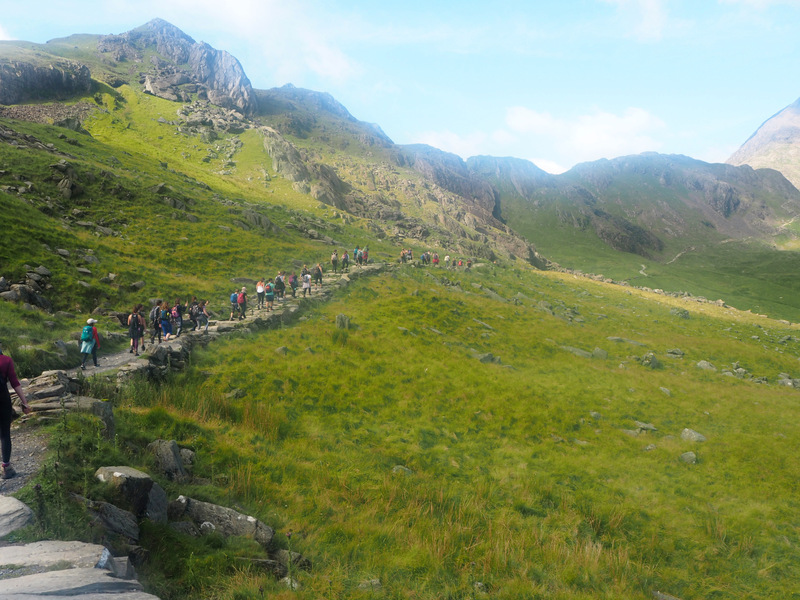 Essentially, we walked up the Pyg Track, down the Miners Track and had a great time while doing it! The whole way up the mountain we chatted, encouraged each other, helped each other keep going when we thought we couldn’t and stood in awe looking at the amazing views. Not to mention the occasional pit stop filled with snacks, music and all round good vibes. We kept walking and walking until eventually, we made the summit. All credit due to Mollie, how she managed to create the whole event is beyond me. Not to mention, all 60-ish of us made it to the summit! That girl is something amazing. Although we couldn’t see a lot from the summit, we were all beyond happy and proud of both ourselves and each another. The hike back down was a lot more relaxing. We’d already reached our main goal of the summit, and let’s be honest, going downhill is a lot easier than going up! Once at the bottom we enjoyed a well earned meal and reminisced about the day. However, before we knew it, it was time to say goodbye. Although we’d only had around 24 hours together as a group, our time together was definitely something special. 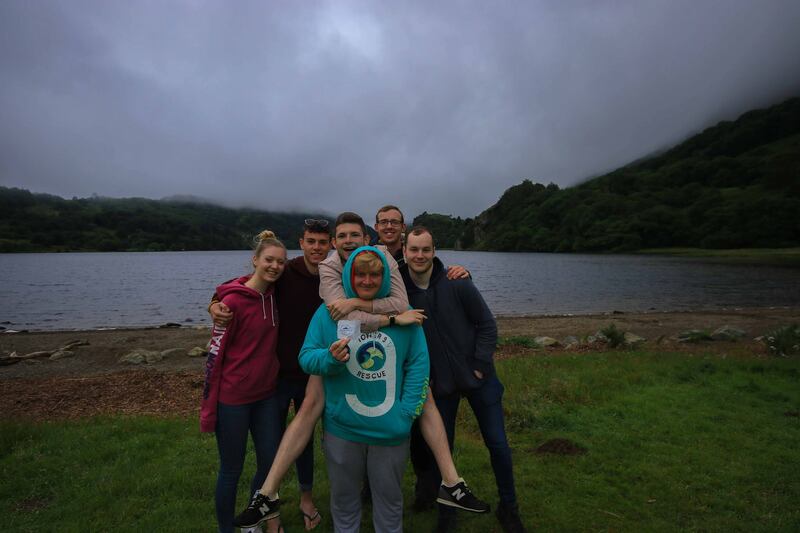 We laughed, we swam in lakes, we hiked and we got eaten by a load of midges together and I think that definitely pushed us together. Over that 24 hours I met people that I had more in common with than possibly anyone else I’d ever met (apart from Jack). Jack and I proceeded to camp that night with 4 other group members and kept the party going. We’ve also already arranged to meet up with a few of them again (if all goes to plan!). 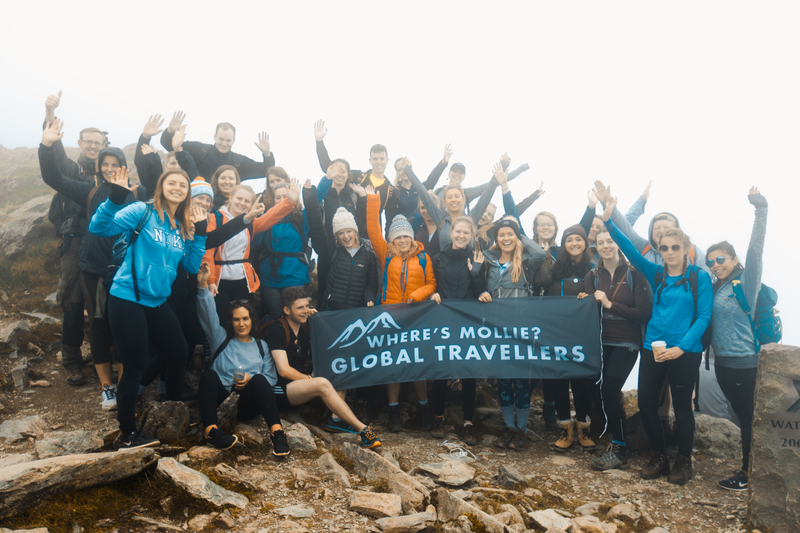 The whole Where’s Mollie Global Travellers event was a complete success and was so much better than I ever imagined. Mollie did a cracking job with organising it all and I for one, am definitely looking forward to the next one. Whether you travel solo, with your partner or with friends, I’d definitely get excited about what Mollie has to come next. If you head to one of her adventures, I promise you won’t regret it. Have you been on one of the WMGT adventures? Let me know your experiences!